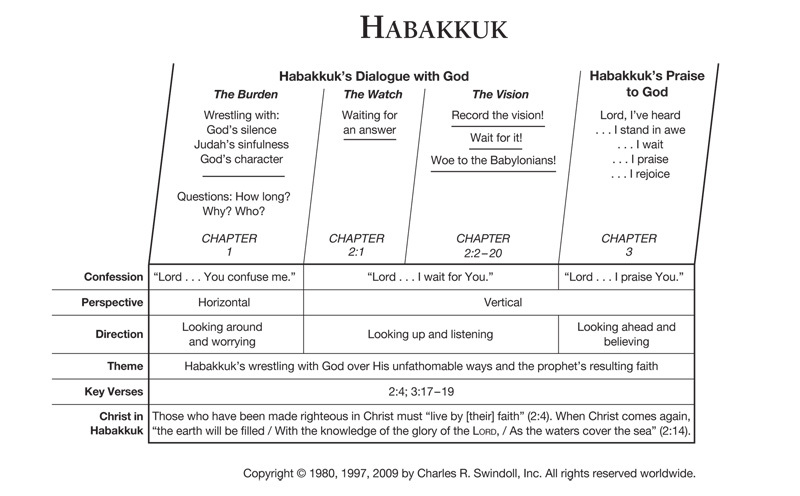 Habakkuk provides us one of the most remarkable sections in all of Scripture, as it contains an extended dialogue between Habakkuk and God (Habakkuk 1–2). The prophet initiated this conversation based on his distress about God's “inaction” in the world. He wanted to see God do something more, particularly in the area of justice for evildoers. The book of Habakkuk pictures a frustrated prophet, much like Jonah, though Habakkuk channelled his frustration into prayers and eventually praise to God, rather than trying to run from the Lord as Jonah did. Find resources in the book of Habakkuk in our resource library.